This was going to be a quick update but it turned out there was more news to report than I expected after all! Please forgive mistakes as I didn't give myself much time to check this before work. As anticipated the official Sengoku Basara: Sanada Yukimura-den website updated this morning with new screenshots and character profile sections. Yukimura's page has two tabs on it now. It seems that the new costume revealed in Weekly Famitsu is being called his Hinokaku ('Scarlet Horns') outfit, while the flashier clothing is the Phoenix version. The site confirms the phonetic reading for his 'Heavenly Wings' mode is Tenha. They also included details of one additional move for each of the three characters profiled yesterday. Yukimura: Rekkaen 烈火炎 ('Raging Blaze') - Yukimura lunges forward and delivers a furious combo attack. Bashing the button increases the number of blows. By timing the final button press well, it's possible to initiate Heavenly Wings mode. Masayuki: Magarigoma 曲独楽 ('Twisting Top') - Masayuki attacks by rotating like a spinning top, kicking his enemies up into the air. By following up with a teleport or by drawing the flying soldiers in, he can also move his enemies around. Nobuyuki: Tokakuri 兎狩里 ('Rabbit-hunting Village') - A showy attack where Nobuyuki violently kicks with his knee, spins the ladder spear once and strikes. If the player holds the button down Nobuyuki will grab his opponents and take out all of the enemies in front of him at once. Articles with the new information can also be found on Japanese gaming websites such as 4Gamer, Dengeki Online, Famitsu, Gamer and Inside. Capcom have announced that there's now an official Sengoku Basara account fans can follow on the LINE social networking service to receive news and updates. 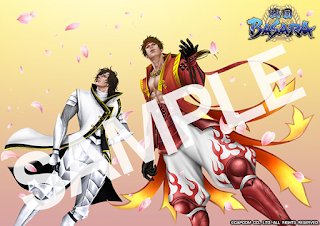 They can also communicate with the account and it will respond based on keywords such as the names of Sengoku Basara characters (so far they seem to react with a quote and a picture - I tried digging for secret information about the new game but there doesn't seem to be any). In addition, followers will get to see special images; the first one available through the account is this Sengoku Basara: Sanada Yukimura-den illustration by Sengoku Basara 3 Bloody Angel artist Itou Ryuu. Fans outside Japan can follow the official LINE account too, though all of the messages will be in Japanese for obvious reasons. To view the images, browse to the account through your Friends list and click on their profile; their gallery will be shown in the corner and you can download the new picture there. Two sets of printed masking tape have been revealed on the e-Capcom online store as part of the ongoing CAPCOM x B-SIDE LABEL collaboration. 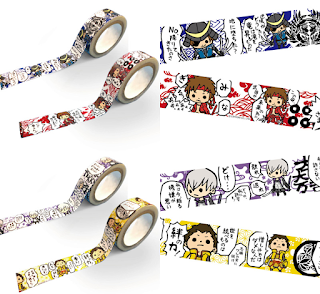 The Azure-Crimson and Sekigahara designs will be released on 23rd June 2016 and each set of two 10m rolls costs ¥800 before tax. 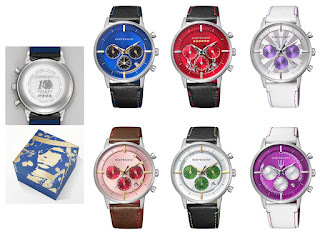 Those INDEPENDENT x Sengoku Basara Citizen watches are returning to e-Capcom for another round of preorders. 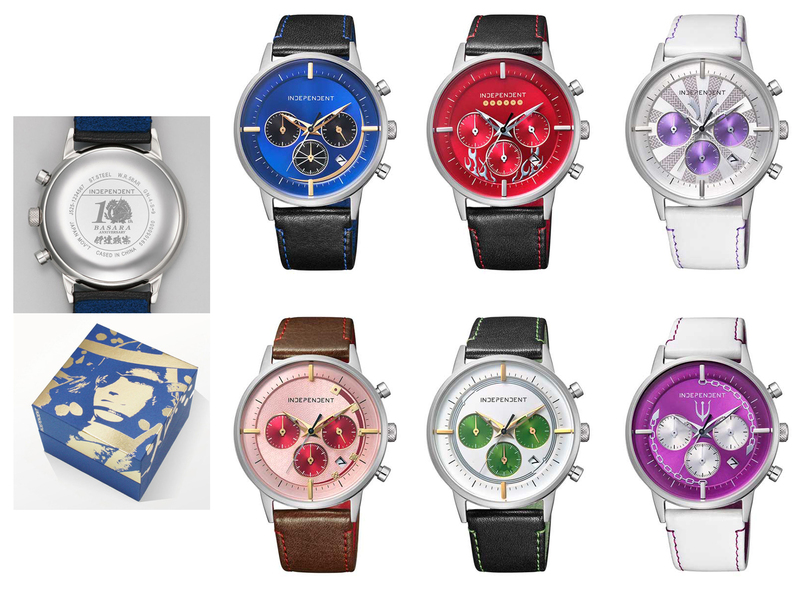 At the time of writing the only two still available seem to be Yukimura and Sakon for ¥23,000 each (before tax) but it might be a good idea to keep checking if you want to try to order one. Fans in the UK can finally see Sengoku Basara: Judge End legally! I imagine that this news is of interest to approximately nobody but after waiting patiently for ages UK anime fans finally have access to the Sengoku Basara anime back catalogue via legal streaming. This also rights the wrong of UK-based fans having been completely unable to watch Sengoku Basara: Judge End (or End of Judgement, or JUDGEMENT; there are several official English titles) legally since it was released almost two years ago. If you're in the UK or Ireland, please check the official Funimation streams out as they show there's demand for the series, and send Funimation your feedback! It's important that we support it so that Judge End can get a decent release in the west. I wish they hadn't labelled it as 'season 3' though. A tweet from the staff at Dengeki Maoh shows how some of the pictures in the Sengoku Basara Motoki Yoshihara Illustrations art book can be compared with the original versions the artist posted on Twitter. I found it interesting!